If you are interested in volunteer opportunities with Greenhouse Ministries, contact us at volunteer@greenhousemin.org. Please indicate if you are looking to volunteer regularly or if it is community service opportunities. We offer volunteer opportunities in the following areas: office work, clothes sorting, bicycle repair, decorating, counseling, teaching classes and food sorting. There are also new opportunities to work outside the walls within the community for individuals and groups. Greenhouse Ministries provides volunteer training every 2nd Thursday of the month at 10 a.m. at our main building (309 S. Spring Street, Murfreesboro, TN). You will learn more about who we are and the different services that we provide. A tour of our facility will be given at the end of the training. “I was asked to volunteer about a year after my husband passed and I have loved it ever since. 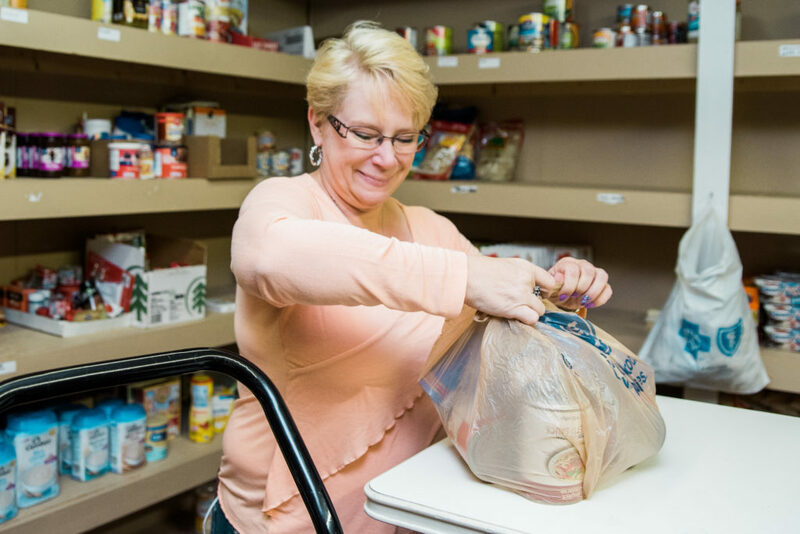 I love being around everyone at Greenhouse and essentially, I have found my purpose for living,” – Miss Bettie, volunteer in the food pantry.